tap: Add G to your mana pool for each Elf in play. Play this ability as a mana source. 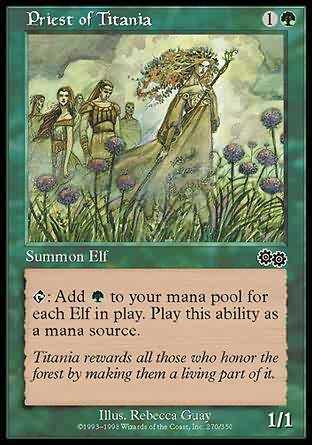 T Add G to your mana pool for each Elf in play.